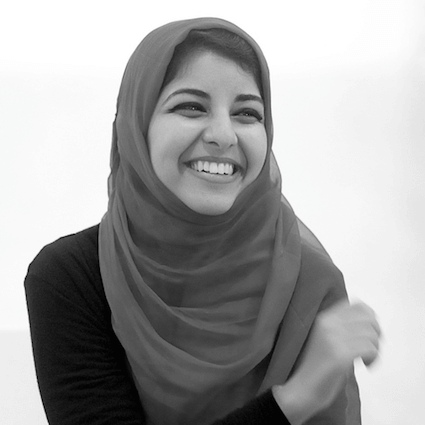 (New session start: 4pm GMT) A live conversation with dina Amin, a product designer from Egypt, about the state of the design community in Egypt, the web — and why she doesn’t like capital D.
In this session, we are talking with dina Amin, a product designer from Cairo, Egypt, who loves to explore the intersections between various disciplines. We’ll look into the culture and the infrastructure in Egypt, local communities, what the web is like, the influence of culture, language and mentality on design, and what it takes to succeed as a designer in the Middle East. Format: 60 mins open conversation. 1 hour. Tuesday, February 27, 16:00 GMT. dina Amin is a product designer from Cairo, Egypt. She completed her B.A. (Hons) in Industrial Design in Malaysia. Although trained as a Product Designer, dina loves to explore the intersections between various disciplines. She developed an array of skills from working in different fields such as Content Design, Writing, Design Research and Development, and Community Building.